SugarMyBowl.com: I want to be a part of it...New York...New York! I want to be a part of it...New York...New York! So I'm spreading the news (ala Liza Minelli) that I'm in NY for this week on a Consumer Union Activist Summit and I couldn't be more excited! 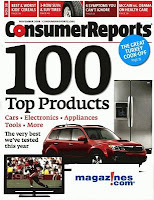 Consumer Union is the nonprofit Publisher of Consumer Reports. I'm still tickled that I got invited to join them and I'm surrounded by some really inspiring group of people. On Friday, all attendees will get to tour the Consumer Reports' facilities where they actually test products for review. How cool is that!? I will resume in posting and will be visiting blogs as soon as I get a chance to. How fun! I wish I were there, too! Ooooo how exciting!~ Have fun!